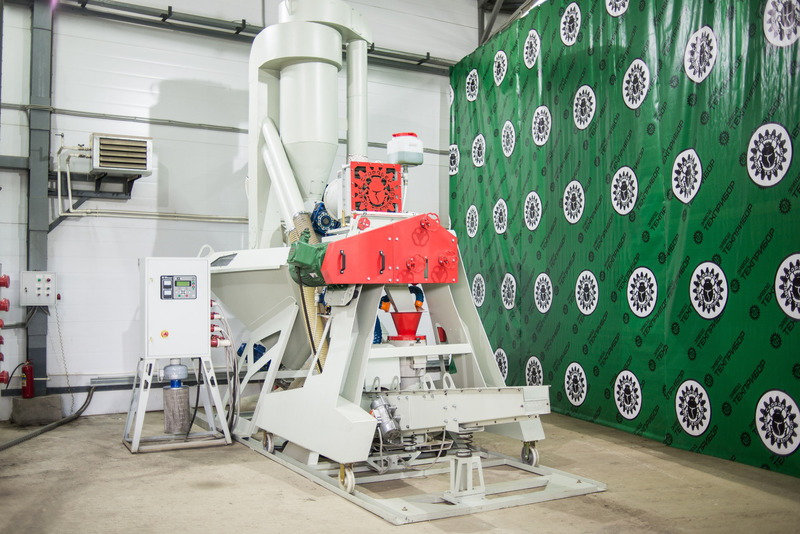 Try automatic granulation of waste! The Scarabey® Automatic Line (Technical Standard TU 3618-100-92992044-2015) is designed for granulation of wood powder, shavings, pre-shredded straw and other raw plant material with absolute moisture of up to 30%. 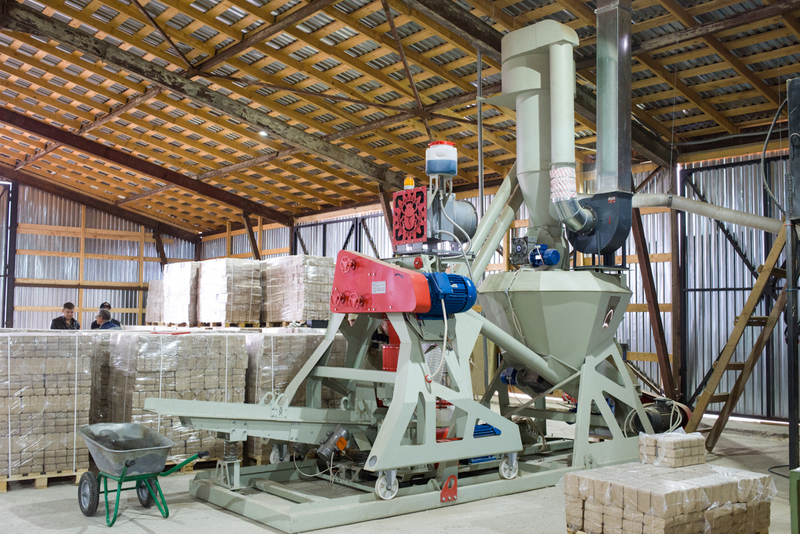 The Scarabey® Line is a system of machines mounted on a single frame. The coordinated operation of the machines is performed through the ‘Balance’ automatic control unit. 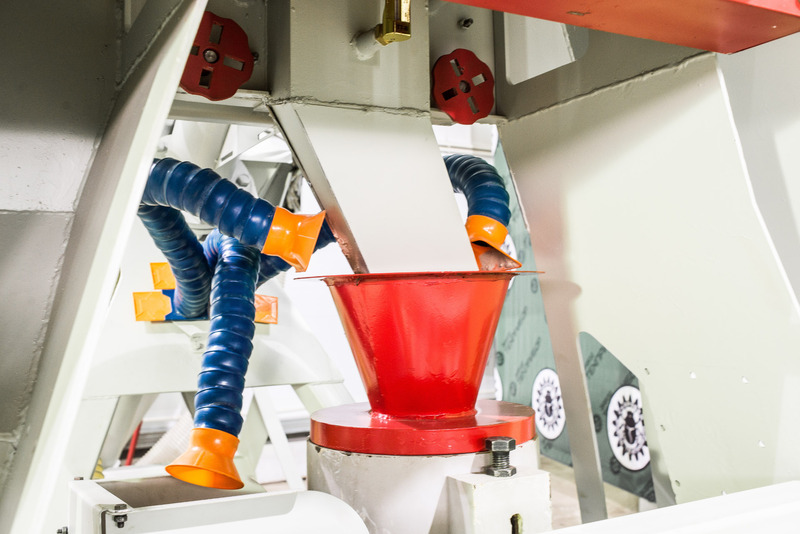 To improve the quality of preparation of raw plant material for granulation, in particular, for milling and heat treatment, the Scarabey® line uses a unique technology of kinetic removal of moisture without evaporation which is based on the effect of temperature separation of the air flow with a partial recirculation of its heated portion, similar to Ranque-Hilsch effect. Submit your question and we’ll contact you as soon as possible. “SCARABEY” ®line. 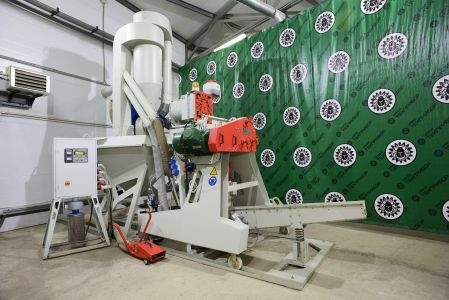 Try automatic pelletizing of waste materials! Kreis inertia conveyor. 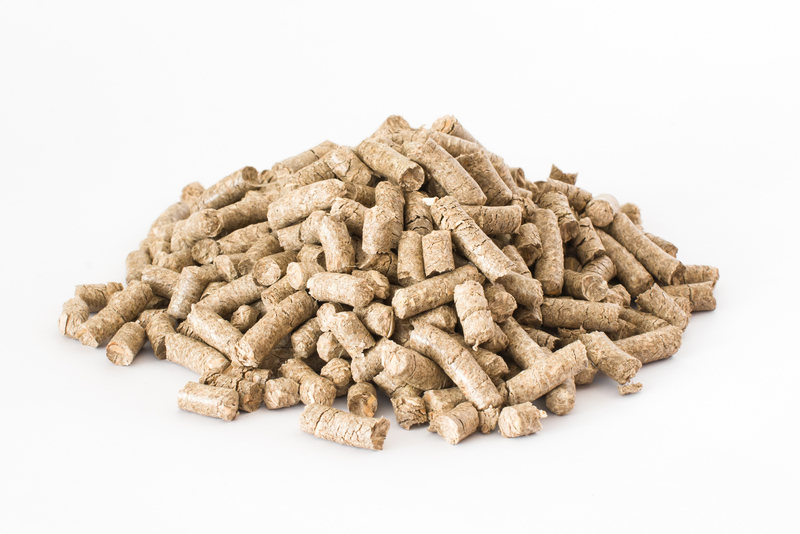 Three-in-one - transfer, separation, pellets cooling. Grinding mill - heater «S.A.M.P.O. 2012». 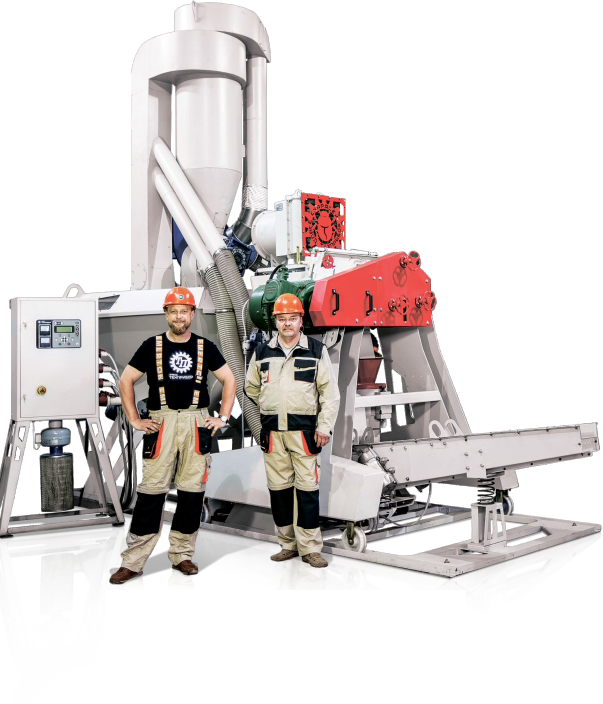 Built-in device of particle size classification, portable rotor-impeller, liquids cooling of mill chamber. Built-in system of water cooling. Advanced finning radiator, built-in blower. Pneumatic spade. Wheeled mover, comfortable levers, magnets, automatic valve. Dust-removal system. 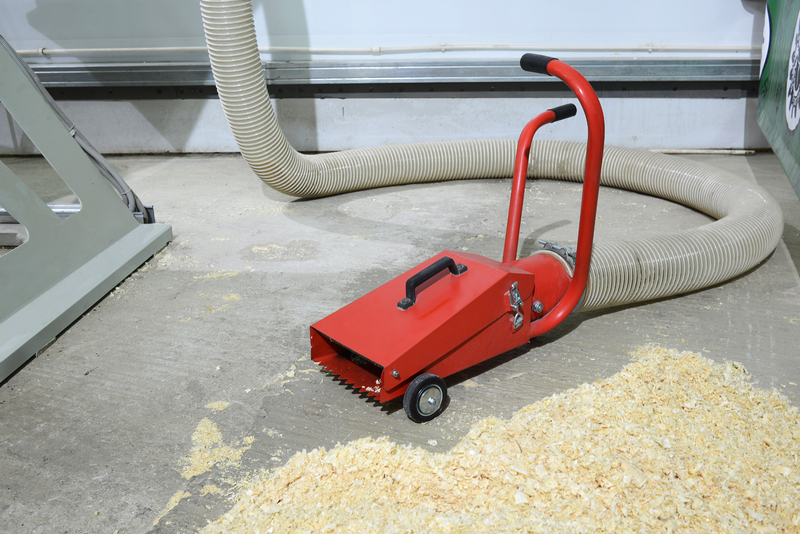 Reliable operation even at high-level dust. 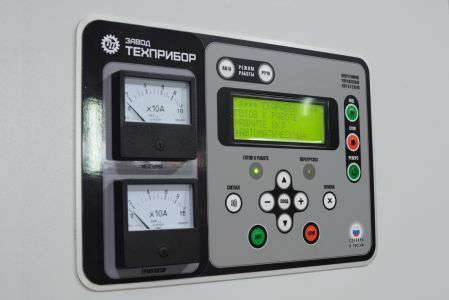 Automatic control box BAU «BALANCE», control of loading and sequence of start/stop. Softwood pellets produced on the “SCARABEY” ® line. Grass pellets produced on the “SCARABEY” ® line. 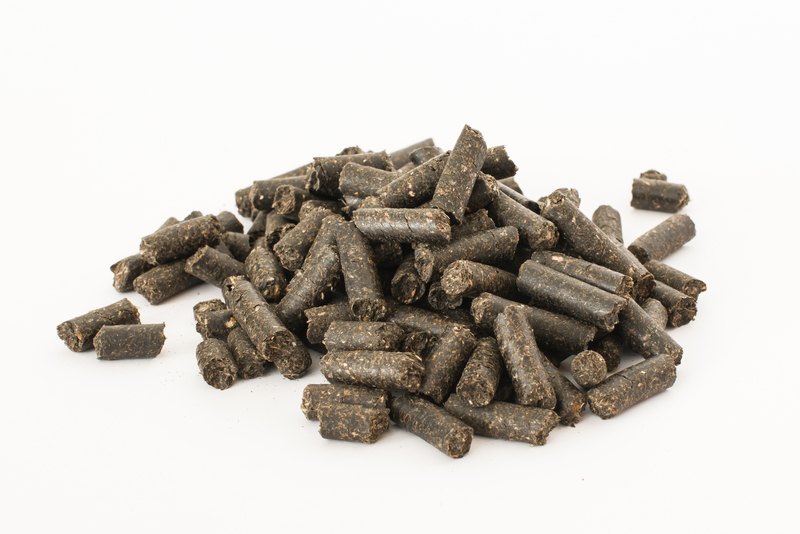 Sunflower pellets produced on the “SCARABEY” ® line. 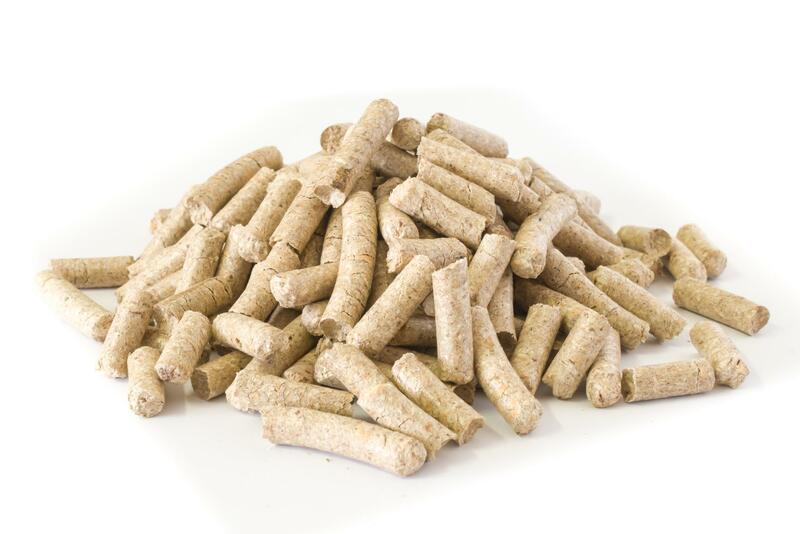 Cane pellets produced on the “SCARABEY” ® line. Chaff (glume) pellets produced on the “SCARABEY” ® line. 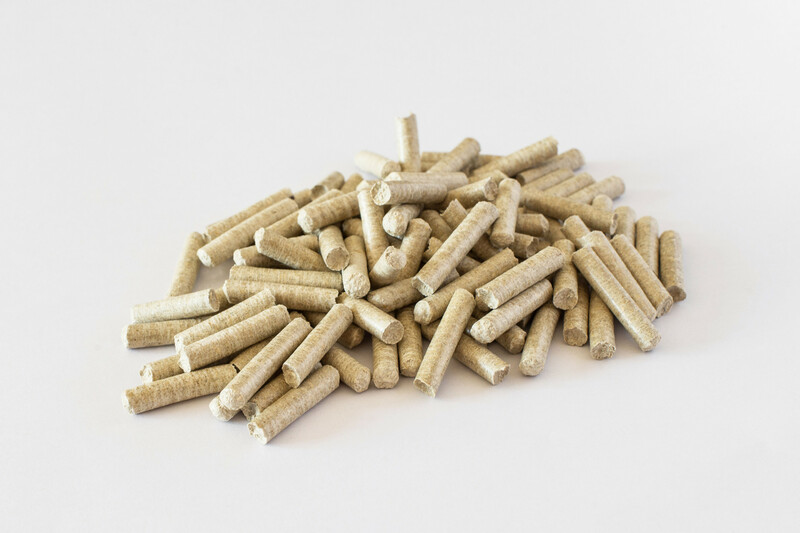 Birch veneer (plywood production waste) pellets produced on the “SCARABEY” ® line. Using the pneumatic spade (1) an auxiliary worker loads raw material into the processing bin (2). The required rarefaction is produced by dust fan (3) mounted in the upper part of the processing bin (2). Separation of the feed from the air flow takes place in discharger (4), in the bottom of which the rotary valve (5) is located. The feed entering the processing bin (2) is captured by blades of the auger conveyor-feeder (6) and then fed into S.A.M.P.O. 2012 mill-heater (7) where it is milled and heat treated. 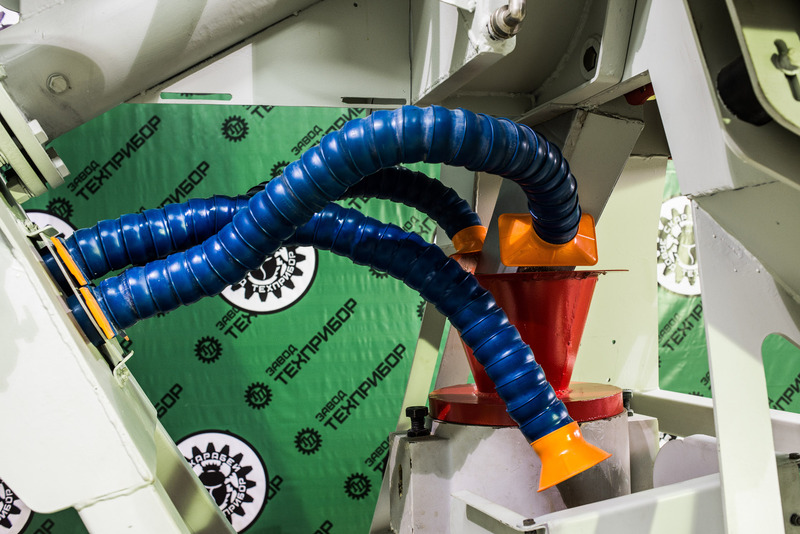 If required, for example, if the feed is too dry, water from the supply tank can be delivered to the body of the mill-heater (7) through special nozzles. Water goes into the mill-heater (7) by means of a dosing pump with the flow rate controlled by a line operator. 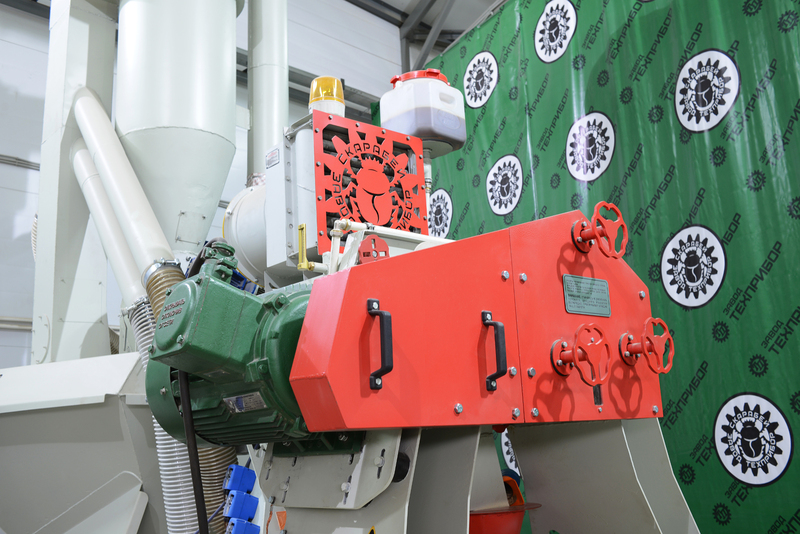 After leaving the mill-heater (7), the hot moulding material enters the press-granulator (8) where it is compacted by rotating rollers. 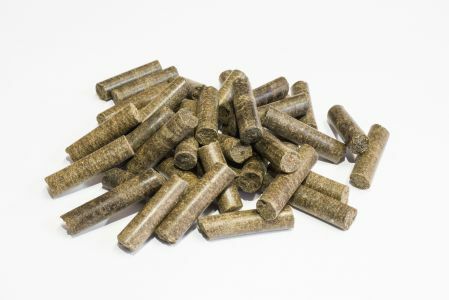 The length of the pellets is controlled by the position of the truncating stopper. When the line is in the ‘Auto’ mode, the volume of the feed sent into the mill-heater (7) is controlled by the Balance automatic control unit installed in the remote control panel (9). If the permissible load on the electric motor of the mill-heater (7) or press-granulator (8) is exceeded, the Balance automatic control unit automatically reduces the speed of the auger conveyor-feeder (6), and when the load is reduced the unit independently increases the speed. When the rotation speed of the auger conveyor-feeder (6) is reduced, the amount of raw material fed into the mill-heater (7) is reduced, and increased when the speed increases. 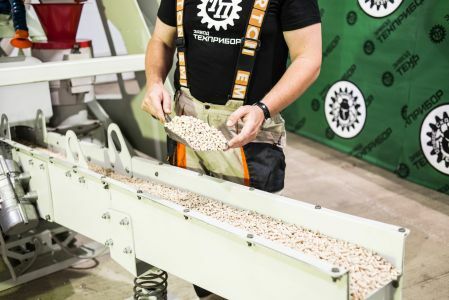 Formed pellets from the press-granulator (8) go onto the grid of the Kreiss inertia conveyor (10) connected via a flexible hose (11) to the pneumatic system of the line. 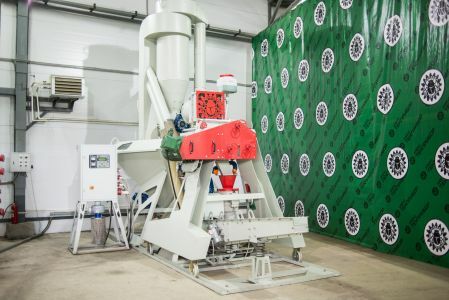 Poor compressed pellet particles fall through the conveyor grid (10) and under vacuum enter the cyclone (4), and from there through the rotary valve (5) back to the processing bin (2). As pellets move through the Kreiss conveyor grid (8) they are cooled by the air sucked into the system by fan dust (3) from the production area. During the operation of the line the temperature of the moulding material at the outlet of the mill-heater (7) can go up to 80°C. 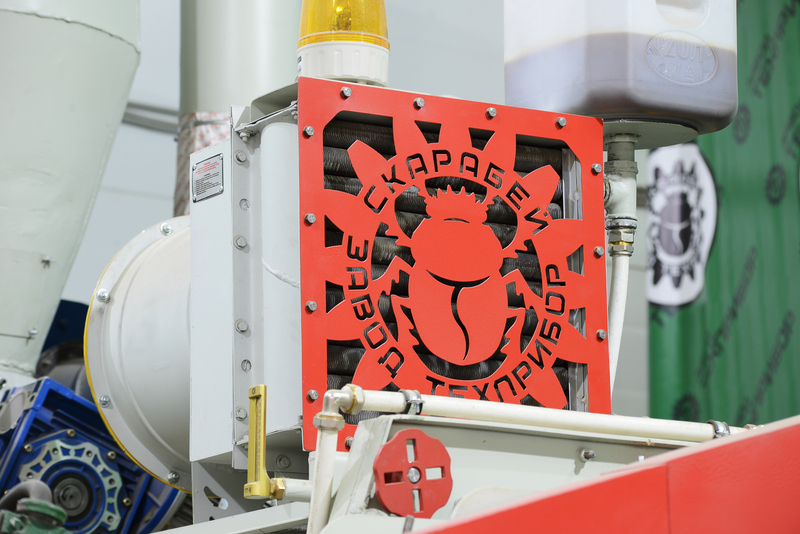 The temperature of the cooling liquid in the body of the mill-heater (7) can rise up to 45-50°C. To achieve best granulation performance the operator during the process can change the milling fineness and temperature with the help of the control handles (12) mounted on the belt guard of the mill-heater (7). The dust from the granulation process is trapped by elbow air ducts and through the flexible hose (13) connected to the pneumatic system is transported to the cyclone (4) and then to the processing bin (2). 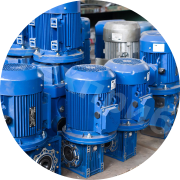 To service the mill chamber of the mill-heater (7) and replace wear-prone elements of the rotor-impeller the moving parts of the system are mounted on the wheel assembly (14) allowing for their movement on special guiding elements of the frame. 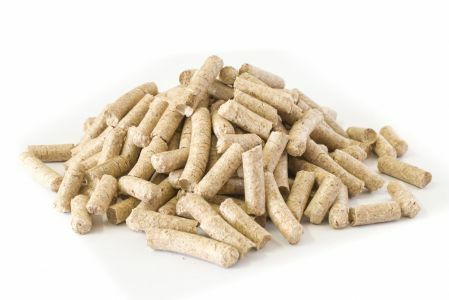 ВAn option to produce ENplus standard fuel pellets from wet plant material. The Scarabey® line kinetic drying of the feed occurs in the process of milling at a relatively low temperature of the heat-transfer medium, which almost completely eliminates risk of fire. TECHPRIBOR PLANT’s philosophy: cooperation with customers does not end with the shipment of equipment! 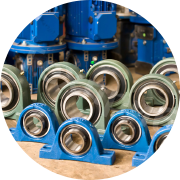 We know not at second hand the needs of production and, therefore, do everything possible to minimize downtime in any situations. The manufactured Scarabey® lines are provided with a constantly resupplied spare parts stock and consumables. Any required parts are all time available at TECHPRIBOR PLANT’s supply warehouse. 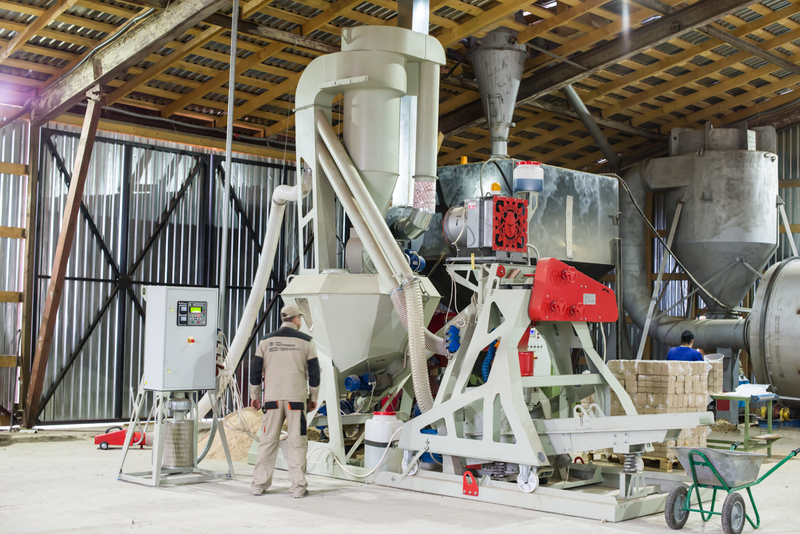 Want to find out if Scarabey® is good at granulating particularly your type of raw material? 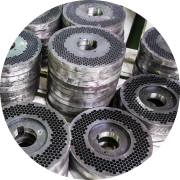 Scarabey® is capable of granulating a variety of materials, however, the list is very extensive, just as our interest in helping you with processing! 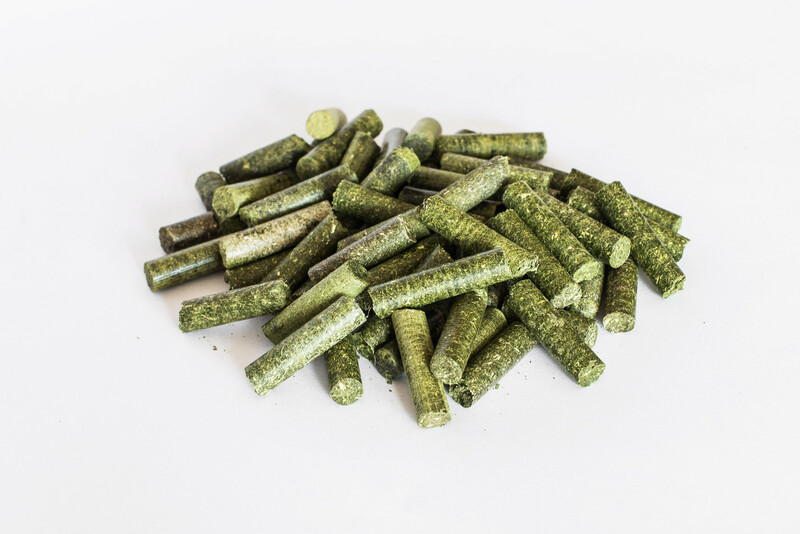 Specifically for our Customers to try the Scarabey ® line with your type of raw material, we have created a workshop area for testing where we provide a free trial granulation of materials. 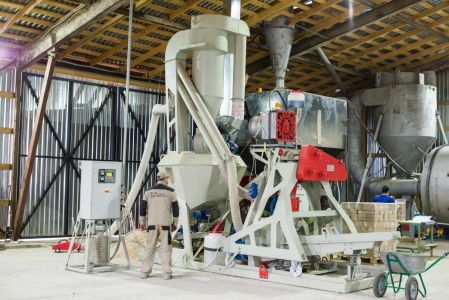 Try to surprise us with a raw plant material which we have not yet granulated! Trying our Scarabey ® line is easy! 3. Visit us for testing.